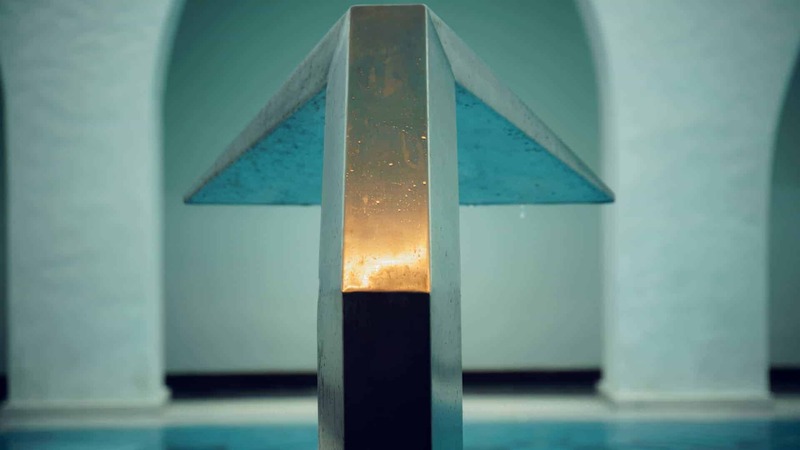 Lalon Idor Spa indoor swimming pool promises an experience for all the senses. 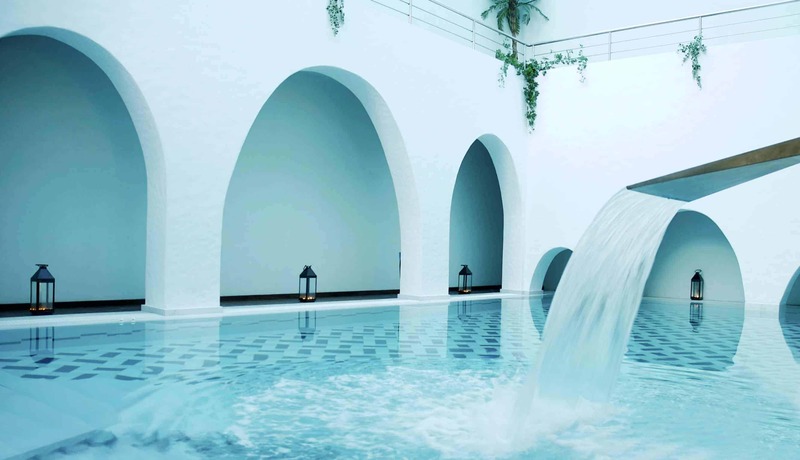 With massage jets, flowing stream and water canon, the large sea water swimming pool of Lalon Idor is an invitation to relax. 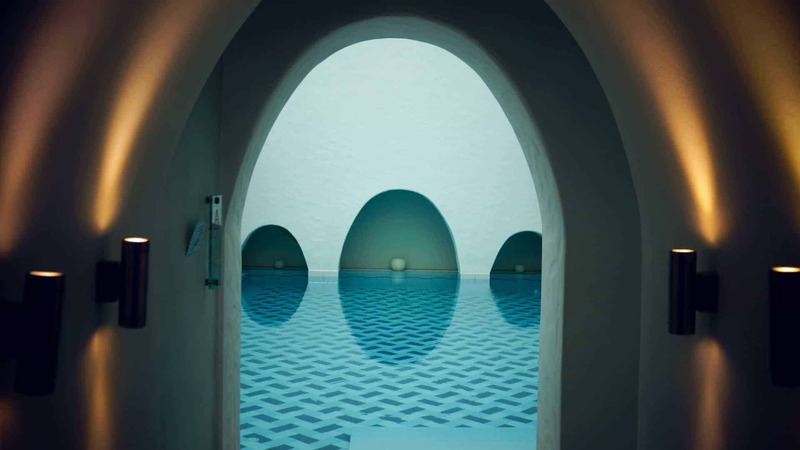 Covered with a glass roof, one can swim and enjoy the sun at day or watch the stars by night in the enlightened pool. 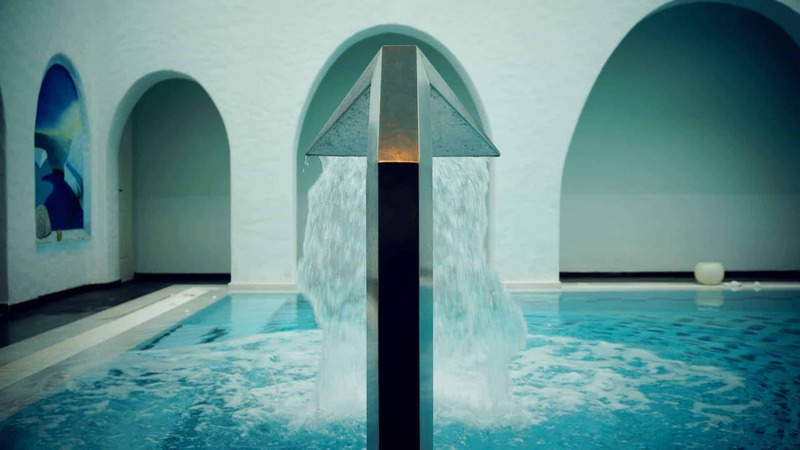 In the heart of the Spa, the swimming pool surrounded by circular arches in the traditional cycladic architecture style, under the candle light will induce you to a magic peace and rejuvenation trip….